A firm foundation: Start with a Premise, Create strong characters, Proportion. Last week we talked about clearing the land and preparing ourselves for our writing journey. This week we’ll discuss building our story on a firm foundation. 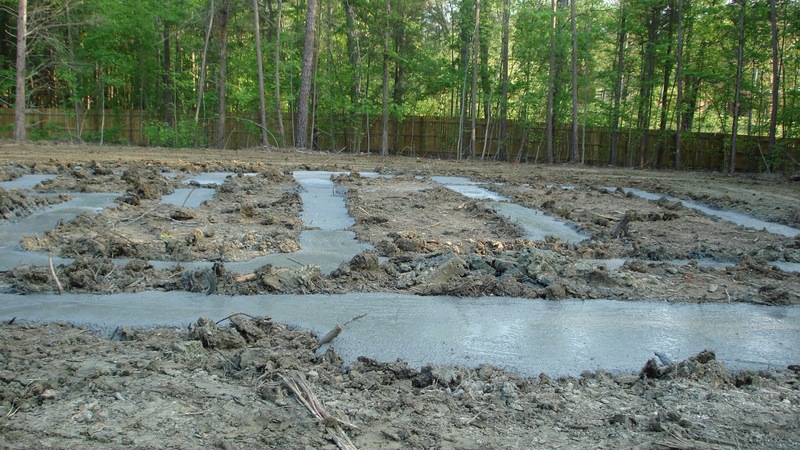 Concrete footers provide a strong foundation for a structure, making a house less vulnerable to attacks from wind, tornadoes, or floods. Just like houses must be built on strong foundations, your book requires a sturdy anchor or it won’t stand. Readers will feel tossed about and confused. As the author, you will lose focus and momentum. So how do you give your book a strong foundation? Whether you tend to be a plotter (you outline a detailed synopsis before you actually start writing) or a pantser (you sit down at your computer and start typing with just a few rough ideas floating around in your head), every writer must create a premise. The premise is the basic footprint of your house, whether it’s two-story or one, rectangular or square. It’s the basic idea, the main purpose or reason for writing your story. Without a purpose, a foundation for writing, your story won’t be able to withstand the elements. It will sag, maybe even collapse. Your characters should be men and women readers want to hang out with for a while, someone they could be friends with, someone they like. Know more about your characters than just hair or eye color, how tall they are, or what they do for a living. Why do they do what they do? What are they afraid of? What do they want most out of life? Whether you use a character chart or another method to flesh them out, dig deep to create dimensional characters readers will like. Cement alone isn’t enough for a sturdy foundation. Sand, gravel and water must be mixed in proportionally to add strength and volume. The same goes for your story. Mix in bits and pieces about your hero and heroine’s past so that we can understand their decisions and behavior. Would you keep reading a book with long clumps of past events dragging things out and slowing the pace? Probably not. So, give your story a great foundation by offering tidbits tucked in the right spots and at appropriate times. What elements do you use to give your story a firm foundation? I’ll be taking a blogging break for a couple weeks. Join us in November as we discuss adding cohesive elements by installing walls, windows & doors. ← Who said research was boring? Wonderful reminders, here, Dora. For me, important elements are believable characters, and a hook that takes the reader from start to finish.